After a bit of a break (I still haven’t finished my 2019w15 Makeover Monday, but don’t worry, I’m getting there), I’m back with my blogs. First of all, I don’t even know what I’m looking at. It is a word cloud, fine, but I don’t know where do the words come from. What are they representing? I simply don’t know. Another thing is the colours. Just too many. Way too many. 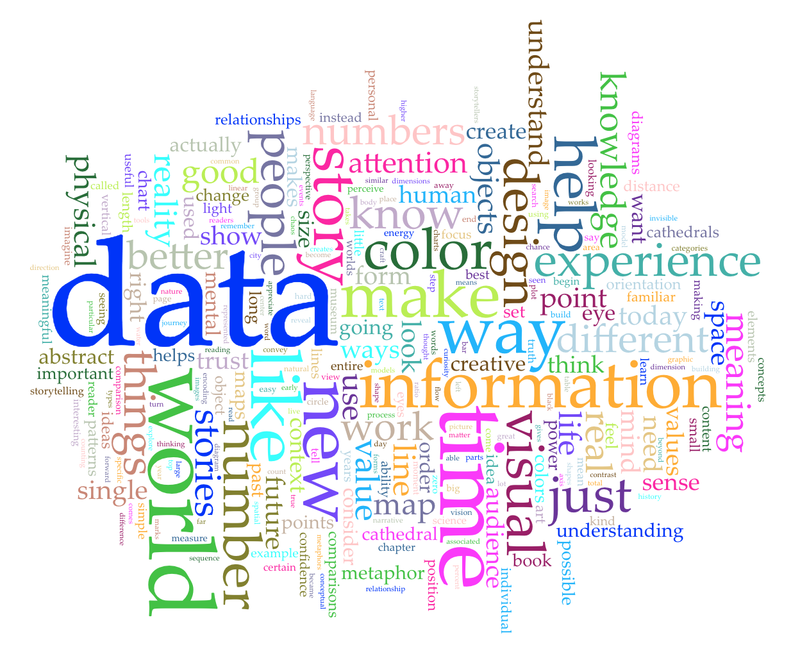 Even though a word cloud may not be the best chart type, it is quite intuitive. The fact that data is by far the biggest and in the horizontal orientation is helping focus the attention. I thought I’d definitely want to add some information, at least where is the data coming from and what is the viz showing. I’m not convinced using all of the words is the best idea since some are barely noticeable and just add clutter without adding extra information.